Please note all schools need to pre-book at least 6 weeks’ in advance for any of the options listed. For details of how to make a booking please see below. It is a special experience to learn in the home of Erasmus Darwin, a creative thinker and a man of many interests, who – along with his Lunar Society friends – was at the forefront of learning in the Eighteenth Century. The Georgian Experience: Erasmus Darwin – his life and context, explored in his own hom, including aspects of Darwin’s life as a doctor and experienceing 18th century domestic life. 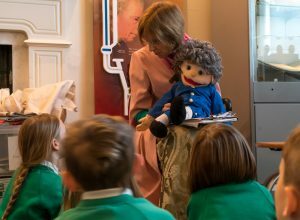 Exciting Science:a selection of Science activities linked to the Primary Science curriculum experienced in the home of this eminent 18th century scientist. Evolution and Natural Selection – Explore the Galapagos: just like Erasmus’s grandson Charles darwin, use resources from the Galapagos to learn about evolution and natural selection. 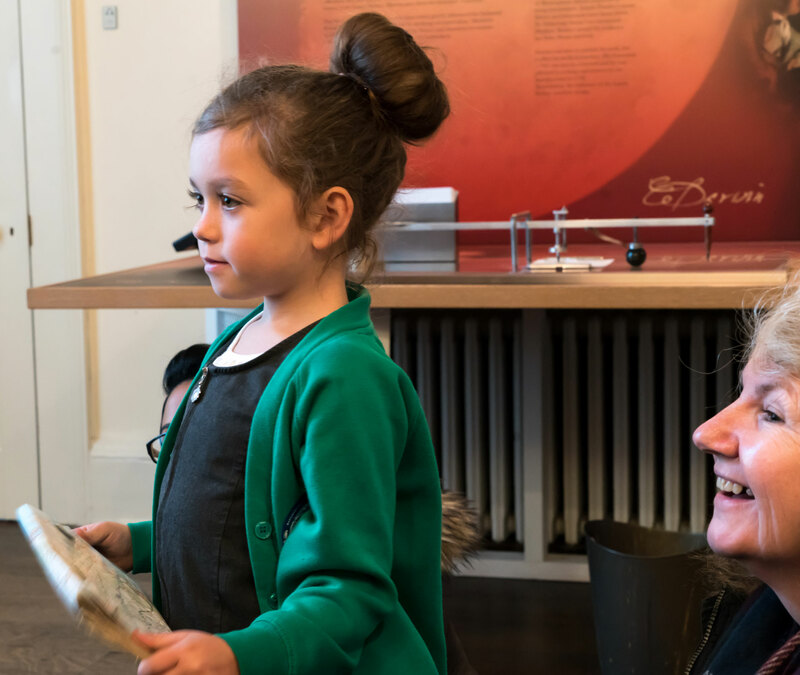 Fossils and geological Time – Fossils and the Stairs of Time:get a grip on the age of the earth, find out about fossils, including making one to take home. Half Day Visit – Recommended minimum visit time: 2 hours. £5 per child. Maximum of one class. each child participates in two activities or in a whole package such as The Galapagos or Fossils. £8 per child (including use of lunch room). Maximum of one class. Each Child participates in three activities in greater depth. Maximum of 2 classes. Each class spends half a day in each venue. Lunch room available for hire at Erasmus Darwin House. 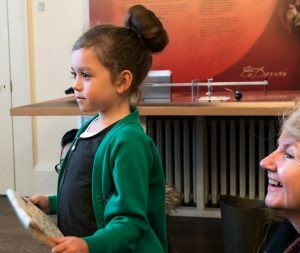 This joint package with the Samuel Johnson Birthplace, which is within easy walking distance of Erasmus Darwin House, offers a combination of history, science and literacy in two different historic houses. Boxes of resources which can be borrowed for use in school. Maximum loan of one week @ £20, plus £50 returnable deposit. Additional charges for delivery and collection. 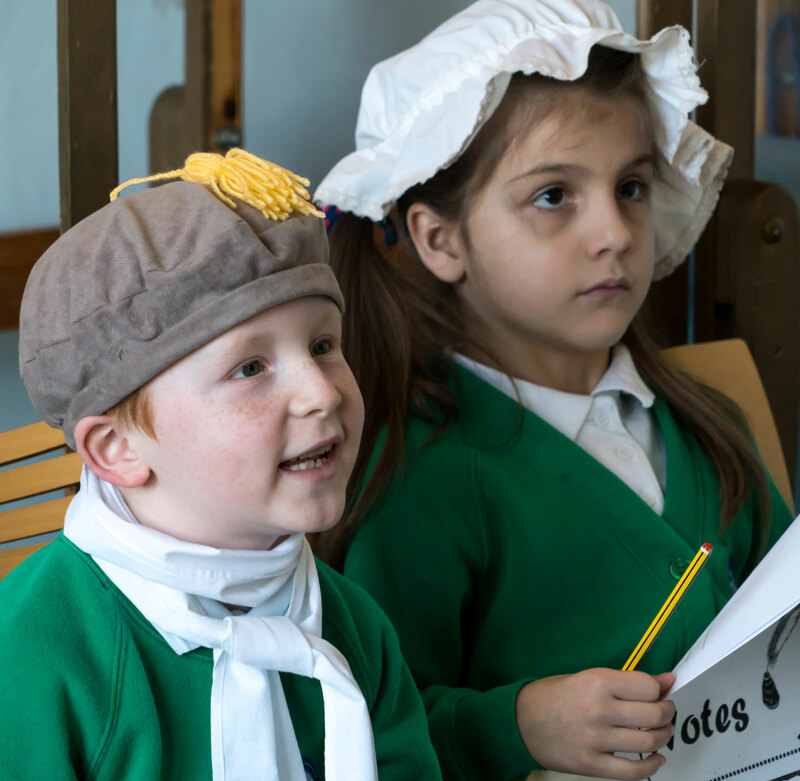 “A wonderful workshop and you made us feel very welcome.” St Joseph’s Primary School. “The kids really engaged.” Erasmus Darwin Academy. “A truly excellent visit which the children thoroughly enjoyed and which really made a difference to them. They learned a lot and had fun!” Lichfield Cathedral Summer School. “Gives an authentic insight into the history and lifestyle of the era. The children loved handling the objects. Fantastic! Brilliantly led!” Fulfen Primary School. 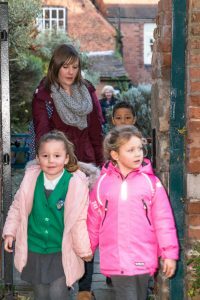 “Will be encouraging other classes within school to make use of this excellent local resource.” St Peter and St Paul Primary School. “Thank you for a fantastic visit! The children really enjoyed the activities. 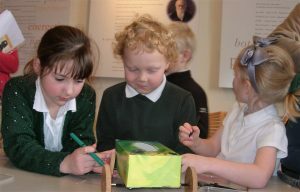 It is a great way to help the children to learn about famous people in Lichfield in a fun way. They all learned a lot.” St Michael’s Primary School. “We enjoyed how you provided the children with hands-on activities-this is just what our children need on a school trip. Our children have been bursting with enthusiasm during our topic lessons to share what they learned.” River View Primary School. 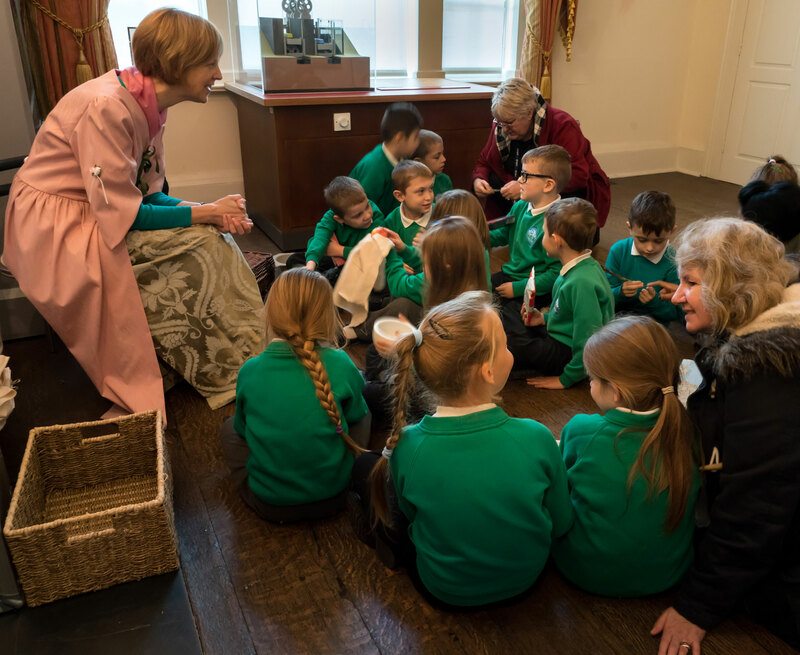 For further information about our education activities, and for practical details, please download our booklet, ion for Teachers: Schools at Erasmus Darwin House. You might like to consider combining a visit to Erasmus Darwin House with a visit to Lichfield Cathedral, which is immediately adjacent.